Jasmine Apartments in Paros are located in Parikia of Paros, a beautiful Cycladic island with long history. The Apartments are built according to the traditional Cycladic architecture and offer guests all comforts in a cozy and hospitable ambience. Jasmine Apartments are situated in a privileged location in Parikia Paros island. They are just 300 meters from the port of Paros and very close to the city center, where you can visit the church of Panagia Ekatontapyliani, the Byzantine and Archaeological museum, tourist shops, restaurants, cafes and bars. It is worth mentioning that the complex is located near the beach of Kato Yialos, while the famous Marcello beach is very close to Parikia. You can reach it by car or boat. The lovers of Kite surfing can enjoy their favorite water sport at the famous Punta beach, 7 km away. Punta is a beach that joins Paros and Antiparos. Jasmine Apartments have a dining room where breakfast is served daily. Also, guests can use the barbeque and enjoy outdoor meals. 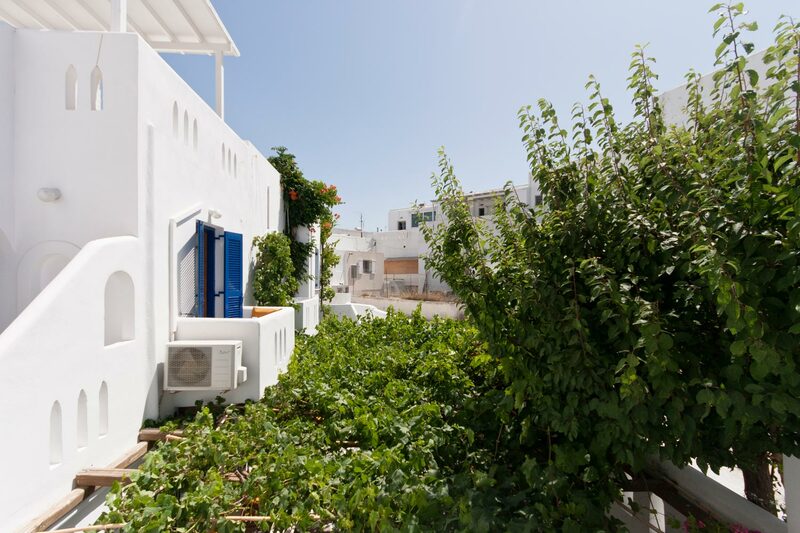 The Jasmine complex operates 6 months a year, from May 1 to October 31, offering you affordable accommodation and excellent services in the beautiful Paros island.